The main article can be found at Minecraft Wiki: Iron Ingot. The Iron Ingot is an item from vanilla Minecraft. A resource extensively used and obtained by processing diverse ore and dust such as Iron Ore or Iron Dust. Iron Ingot is used to create armor, tools, and many other blocks and items from various mods. An Iron Golem will drop 3 to 5 Iron Ingots upon death. It can be found in a Blacksmith (6.1%), Desert Temple (8.8%), Dungeon (3.2%), Mineshaft (9.1%), Stronghold Corridor (8.5%), Stronghold Crossing (13.2%) chest. Iron Ingot is not to be confused with Dark Iron Ingots, which can be created by lighting a Block of Iron on fire with a Wrath Igniter and then turning the resulting Block of Dark Iron into Dark Iron Ingots . 0.002875/tick used at 100% eff. ↑ This is only possible in versions of Factorization prior to v0.8.06 as [[Dark Iron Ingot (Extra Planets)|]]s became obtainable via Dark Iron Ore.
↑ Iron Nugget can be substituted with Iron Oreberry. ↑ Pure Iron Dust can be substituted with Impure Iron Dust. ↑ Iron Dust can be substituted with the following items: Crushed Iron Ore, Purified Crushed Iron Ore.
↑ Iron Ore Flakes can be substituted with the following items: Nether Iron Flakes, Iron Scrap. 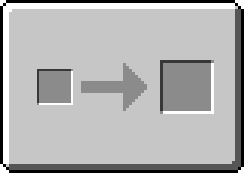 ↑ Pulverized Iron can be substituted with Iron Dust (IndustrialCraft 2). This page was last modified on 3 April 2019, at 20:08.